This June, Microsoft will turn on Clutter by default for Outlook users. 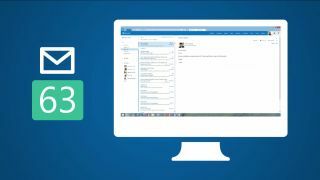 The Office 365 email inbox management feature will clean up your inbox so that it displays important messages. "It uses machine learning to de-clutter your inbox by moving lower priority messages out of your way and into a new Clutter folder," Microsoft said of the feature in a statement. "Ultimately, Clutter removes distractions so you can focus on what matters most." Clutter is similar to rival Google's Priority Inbox for Gmail. Clutter uses the Office Graph to learn which messages are important to you, and you can also train Clutter to identify messages that are of low priority. Over one million messages are automatically moved each day into the Clutter folder today, and Microsoft claims this helps users save on average 82 minutes each month from having to sort through non-important emails. In Outlook, you can flag messages as clutter or move them to the Clutter folder, and Clutter will learn those actions, so that similar messages will skip the inbox and move straight into that folder in the future. "The information Clutter learns from each user's actions are only applied to that user's experience and are not shared with anyone else," Microsoft said of the personalization. This is similar to Google's approach with Gmail's Priority Inbox. Gmail's tabs automatically identify content as priority – based on the people in the conversation and your prior communications with them – as well as social, promotions and updates. Google automatically identifies if the message is an update to a forum and places it in the updates folder, or if it's a message from Facebook and places it into the social folder. The promotions folder includes any email you get from advertisers. Messages that shouldn't belong in Clutter can be moved out to the main inbox again. Clutter will be automatically enabled by default for new and existing Outlook accounts starting in June. For business users, Microsoft is also enabling controls to let administrators manage Clutter with PowerShell cmdlets. If a message is moved into the Clutter folder automatically for the first time, Microsoft will send the user an alert to notify them. A maximum of one alert is sent out each day, and a weekly summary provides users with a status report on what messages are being moved to Clutter. Users who prefer the old experience can opt out from having to use Clutter.